I have a question for you… Are you worried about the future of SEO? Every time Google changes their algorithm, or releases a new “animal” update, the industry panics and it can seem like the world of SEO is doomed forever. Let me tell you a secret — It’s not over. And it will never be. 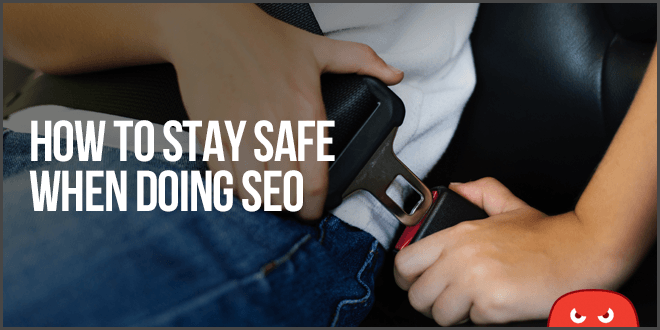 But I’m going to show you how you can stay safe while doing SEO. In fact, Google recently announced they are no longer going to penalize algorithmically for links! With that said, there are still a few things you will want to look out for and best practices to follow. When Panda came out in 2011, the industry got together, figured it out and bounced back better than ever. When Penguin came out in 2012, the industry banded together again, figured it out and bounced back better than ever. Every time there has been an update, we as a SEO community have grown stronger and safer. The job of Google is to try and combat spam. But with 3+ billion pages of content out there, they have to use fairly large strokes and go after the “big” mistakes that SEOs are abusing. If they get too aggressive, they will get too many false-positives and wipe out a bunch of “good” sites. This still happens from time to time, so Google has to be cautious. It is very easy to stay safe in a post-Panda, post-Penguin world. Google has already come up with their major broad strokes to eliminate old school tactics (this means less competition for the rest of us). Google has successfully scared many other SEOs out of business. As an SEO community, we’ve sat down, looked at the data and came up with strategies that are going to help you establish long term rankings safely. Currently we’re ranking sites safer and smarter than ever before. There are lots of no name, fly-by-night SEO services out there with all kinds of screenshots of crazy rankings. Yes, anyone with Photoshop can make those. But how many of these companies stick around over the years? You see, we’ve been HOTHing since before 2010, and in the world of SEO, that’s a lifetime! We’ve not only survived the biggest updates in Google history (Panda & Penguin), but we’ve actually grown. We stay up to date on EVERYTHING Google and tweak our products ahead of the curve so you know exactly what’s going on. (Check out our massive Guide To Google Update History). Over the last few years, Google has basically gone after 3 things that only purely SEOs would do. This used to just mean keyword stuffing, but that ended a long time ago. Now the focus is making sure that your keywords fit naturally onto your page and are not unnaturally used. How to avoid this: Don’t repeat your main keywords over and over. Use natural language, use lots of variation and synonyms. The Penguin algorithm update targeted off-site over optimization. To avoid this, make sure to diversify your anchor text as much as possible. Google keeps tweaking the dial on what is acceptable in terms of anchor text ratios, but essentially you want to make sure you are not building too many exact-match anchors. How to avoid this: Build links with diverse anchor text to keep your profile looking natural. Check out our article on anchor text diversity here. *The good thing is that the HOTH gives you lots of opportunities to diversify your anchors. You don’t even have to use any exact match anchors with us – many of our customers use our link building services for anchor text diversity. Google goes after big blog networks and de-indexes them, like My Blog Guest, PostJoint, and a few others over the past few years. How to avoid this: Simple. Don’t use big blog networks to link directly to your money site. The good thing is, The HOTH does not use any blog network, and none of our products rely on a PBN. Instead, consider investing in safer link strategies like blogger outreach. So there you have it, the 3 things that Google is going after. If you can avoid these things, you’ll be in a very good place for massive SEO growth. Great article. I read a lot of material from so-called “SEO Experts” and you really made me feel good about your company with this single article. I mix with some pretty awesome SEOs and we all agree on the exact 3 topics you’ve dropped to the masses right here. You’re right on the money and this article proves to me that you guys are Pros. Keep up the great work! In short, add value to the search query and you will be fine. For example, I have PBN’s that are ranking quite regularly on page 1. Why? Because they have great content, don’t look half bad, and people can get their query answered. The fact that they power up money sites make them a win-win for me and the visitor. Love this post and good to know about the pbn. The problem is how can I tell if a link is from PBN? By the way I enjoy the newsletter and always click the link to read more. Hoth rocks! Makes a lot of sense. Is it also important to make sure you are building something of value to your customers to stay safe long term? Personly I love this post and other post int this blog, so much articles that open my mind what’s really to do in SEO specially for 2017. I can implement this strategy for my own blog and my clients. Thank for all of your posts. It stands for Private Blog Network, a network of blogs owned by someone. Hi. Great post and great web site. Can I ask. Would a multi page directory be considered as a PBN. Thanks and looking forward to your next email. Thanks for putting the info out there. I feel like the top organic ecommerce rankers are the top advertisers in google. Could this be true? And if my ad budget is not in the millions will I never rank for ecommerce products? I currently bottom feed on ad strategies. Would love to hear more on this as it relates to product SEO. How do you get products to rank? Running Adwords doesn’t influence Google organic rankings. We still use some guest blogging. I realize that some guest posting sites are not good, but does anyone have thought on guest posting in general? Good or Bad? We use guest posting all the time and it works great. My blog is 8 months old with over 90 unique, quality articles of 1500+ words each. For the last 3 months, I’ve had 0 growth and been stuck at 4k unique visitors per month. What the heck is going on? Hi Dave, there are a handful of different variables that could be causing the stagnant growth. Best thing to do is to schedule a meeting with one of our SEO account managers and they might be able to point you in the right direction. Well said Hoth, Thanks for the tips.. How can i start using your services? Glad your excited for our services! Simply sign up for a HOTH account. Once your in your member portal you’ll be able to purchase any product you’d like. What percentage of exact anchors do you guys use? Or do you leave that up to your client to decide? If we get the opportunity we do mostly benign or branded to keep the diversity high. The best thing to do is look at what the anchor text ratios of your top competitors look like per that keyword and model it. 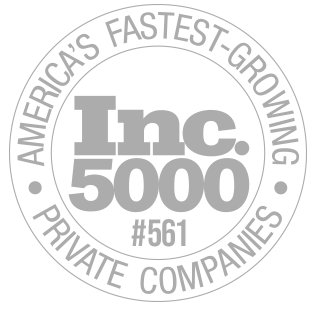 I am a small business owner and have become disillusioned with SEO companies that claim to get you results and never deliver. I have tried 6 companies and have been happy to take my hard earned money but none have delivered results.So i gave up and giving it a crack myself even though its all still way over my head. I find your articles insightful and helpful..thanks! Thanks for the on site & off site 3 SEO tips , really helpful for my website . Now I got real things about SEO. Thank You guys you provide latest SEO strategies. All other site write that repeat your main keywords over and over for ranking and Hoth write that avoid this. I think Hoth is right. Thanks again. Absolutely. Keyword stuffing may have worked in the past but today it’s a way to get penalized. Too many people still do it though. I agree that this is definitely the best time to be in SEO as Google has weeded out the companies that don’t really know what they’re doing just buying Fiverr gigs and getting sites deindexed with foreign spammy links that have nothing to do with the intended site. See what the big boys are doing and model it, good advice…good article. Fantastic, thanks a lot for your comment Levi! Waooo… It was a great article. Yes, I know previously one used to stuff keywords in meta details as well as in content. But now this practice doesn’t work. I get so much spam from vendors and other companies in the business. The HOTH emails are the only ones I actually read, and I don’t even mind multiple emails from you guys on the daily. Thanks for good info on a consistent basis. That’s so awesome to hear Heath, thanks a ton for reading our posts and giving us your feedback! We love knowing that the info that we put out is helping. Nicely summarized, guys! Well Done! Yeah, that was a great concise and to the point article, thanks loved it! Good article. One question though – in a “Non-Seo” world, or according to how Google would say things should be – all of your links would be coming from other websites – NOT link building. If that were the case, you would have no control over the anchor text of those links – you would be at the mercy of every person who linked to your site – and what anchor text they used. Why does anchor text matter so much if theoretically you would have no control over what anchor text was in those links? Thanks for any insight! Great question. The anchor text guidelines that exist are based in 1. What actually works for ranking and 2. What is seen as a “natural” anchor text profile by Google. So what can we do? We can ask, “How do people naturally select anchor text?” The answer is: a wide variety of text will be used, but a portion of anchors will likely contain one or more of the words in the target keyword. So, we advise that anchor text from authority sites to yours contain the target keyword, while anchor text from lower authority sites contain a variety of less optimized text. That way, you avoid being over-optimized, and you indicate to Google that the authority sites are linking to you because your site’s topic matches the target keyword in the anchor text. Hope that answers your question! Cheers. I’m glad you guys stay on top of things and actually test things out. I try to stay current on Google updates, but it can be hard to keep up sometimes. Hey Steve, thanks for the kind words. We are always here to help! Just follow their rules and do the best you can for your audience. In long run you never get headache or penalize by Google. For short plan, get traffic from social networks which work best for your niche like Facebook, Instagram, Quora, Reddit, Youtube. Great article Steve, thanks for the concise insight. Question, do you use the disavow tool at all anymore? Thank you for the concise insight Clayton… Question, do you use the disavow tool at all anymore?